That Pellegrino bottle led me to these pretty patterns from Missoni's Spring/Summer 2011 collection. Gorgeous! oh good grief... missoni is my fav. did you know there is a missoni hotel in edinburgh? we went there last month, and i'm blogging about it next week. how much do i ADORE Missoni - oh yea WAY TOO MUCH! I love it too! So fun and vibrant! their fabrics are so amazing. OMG! 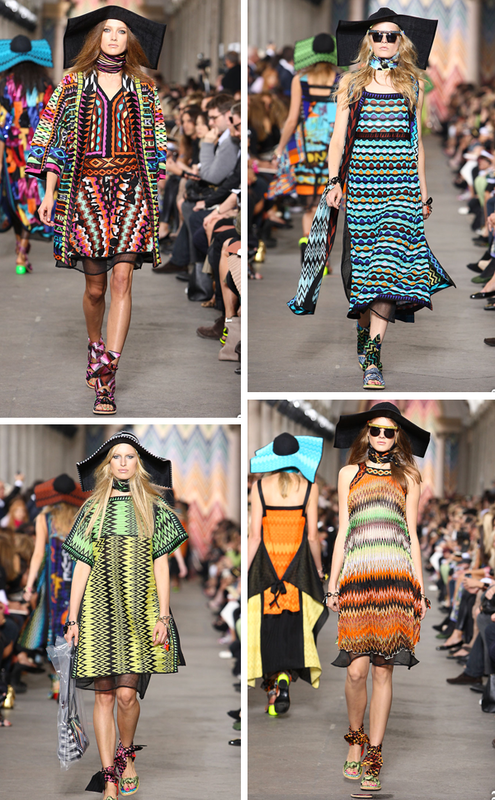 I am crazy about Missoni's new collection! I love all of the different textures, patterns, colors. Perfect for Spring! !